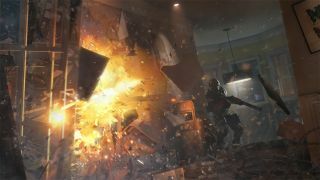 Tactical, squad-based shooters are high skill affairs, and according to the above dev diary for Rainbow Six Siege it's a fact not lost on Ubisoft. The studio has set a number of lofty goals for its 2015 shooter, and chief among these is ensuring the player is always in control. That means no interrupting animations, no path blocking obstacles and the utmost precision when it comes to reticule position (ie, it stays static under all circumstances). In addition to the video above, the studio has created a fancy 'Golden Rules' infographic. "This “always in control” philosophy led us to establish “Golden Rules”, that we applied to the 3Cs, which refer to Character, Control and Camera," a studio spokesperson wrote on the game's blog. "More specifically they define the capabilities of your character, how you control those capabilities, and the camera for how to visualize them. They’re the backbone of player interaction because pretty much everything you do with your avatar is defined by them." Rainbow Six Siege is due some time in 2015.